To determine the feasibility and efficacy of home-based sensory interventions in children with Autism spectrum disorder (ASD) with sensory processing abnormalities. This was a 12-wk, parallel group, pilot, randomized controlled trial. During the study-period, 185 children with ASD between 3–12 y of age, with sensory processing abnormalities were screened for eligibility. Twenty-one children were randomly assigned to the sensory-intervention group and 19 to the standard-therapy group. Sensory-intervention group received home-based sensory interventions by the parents/caregivers plus standard therapy; standard-therapy group received speech therapy by the speech pathologists and applied behavior analysis by the child psychologist. The mean change in scores at baseline and 12 wk into intervention showed that children in sensory-intervention group (Mean = 9.33, SD = 3.52) scored significantly better on Parent Rated 10-item Likert Scale (PRILS-10), as compared to standard-therapy group (Mean = 2.47, SD = 1.46), t(36) = 8.16, p < 0.001; d = 2.54. Marked improvement was noted especially in reduction of hyperactivity, motor-stereotypies and auditory sensitivity in those who underwent sensory interventions. 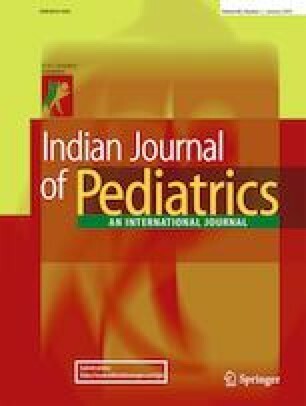 The mean change in scores in sensory-intervention group on Children’s Global Assessment Scale (CGAS) (Mean = −9.19, SD = 2.33, p < 0.011; d = −1.75) and Pediatric Quality of Life Inventory 4.0 (PedsQLTM) (M = −10.53, SD = 5.34, p = 0.008; d = −0.88) showed significant difference in the sensory-intervention group as compared to standard-therapy group. Overall, there was 32.3%, 18.1% and 15.8% improvement on PRILS-10, CGAS and PedsQLTM respectively in sensory-intervention group. The present findings suggest that home-based sensory interventions are feasible in a developing country and are suggested to have a beneficial role in ASD. The authors acknowledge the parents who took part in the study. HP and JKS were involved in conception of the work, data acquisition, analysis, interpretation of the data and prepared the first draft. PM did the psychological assessments and was also involved in data acquisition. PS was the clinician in charge, was involved in design, planned and guided the study, and did critical review of the manuscript for intellectual content. The final manuscript was corrected and approved by all authors. PS will act as guarantor for this paper. “All procedures performed in studies involving human participants were in accordance with the ethical standards of the institutional and/or national research committee and with the 1964 Helsinki declaration and its later amendments or comparable ethical standards.” Ethical approval has been obtained from institute ethics committee (NK/2024/DM/4312). Patients and their parents have given informed consent to the research and to publication of the results. Weitlauf AS, Sathe N, McPheeters ML, Warren ZE. Interventions targeting sensory challenges in autism spectrum disorder: a systematic review. Pediatrics. 2017; https://doi.org/10.1542/peds.2017-0347.